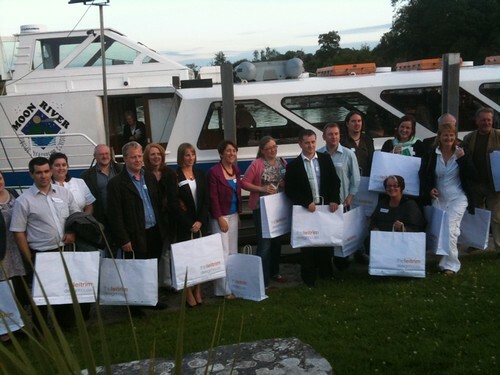 Just back from an enjoyable evening in Carrick on Shannon in Co. Leitrim. Along with over 60 other CruiseCampers – we sailed serenely along under a late evening sun on the Moon River. Just after arriving back on the dock. Good to meet up with some familiar faces and exchange some war stories with new acquaintances; This type of environment is perfect for those types of discussion; got to hear and share – perspectives and points of view on topics ranging from from web and online marketing, education, creativity, customers through to the importance of enjoying what you do.